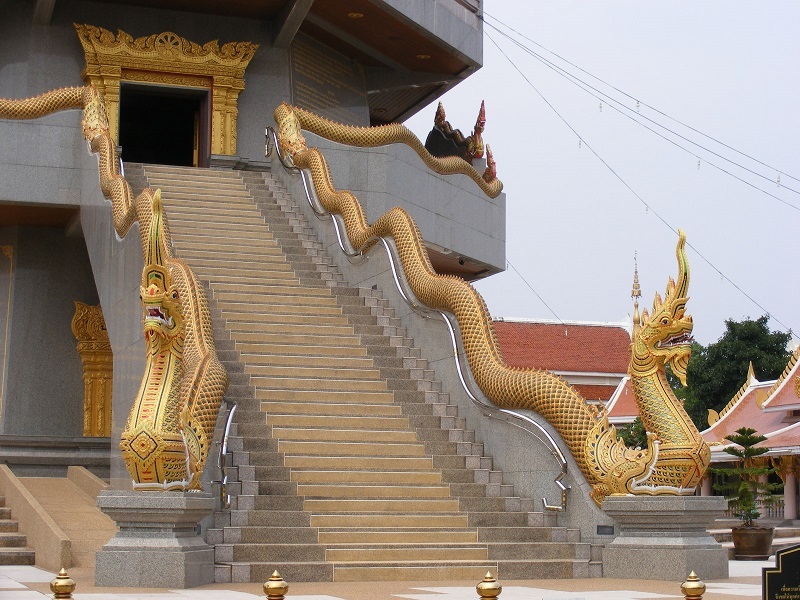 Of the many temples in Udon Thani, Wat Phothisomphon can easily be considered as the most spectacular of them all. The temple compound is home to about 20 buildings in total, and is rather impressive, and certainly worth a visit just to see the construction alone. The Wat Phothisomphon temple is located on Pho Si Road in UdonThani, and was built during the late reign of King Rama V. Atnthis time, Maha Ammat Tri Phraya Sisuriyaratchawaranuwat (or Phothi Netiphothi), the Lord Lieutenant of the Udon Circle persuaded the villagers of Mak Khaeng (Udon Thani) to build the temple. It was commonly called 'Wat Mai' then later Phra Chao Worawongthoe Krommaluang Chinnawonsiriwat. 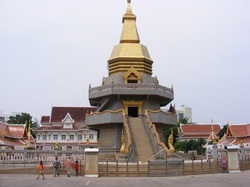 The Supreme Patriarch Wat Ratchabophitsathitmahasimaram, then named the temple as 'Wat Phothisomphon,' in commemoration of Phraya Sisuriyaratchawaranuwat, who was the builder of the temple. Inside, you can find a museum of revered monks famous for meditation. 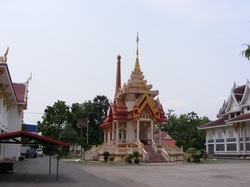 Wat Phothisomphon is just to the south of Nong Prajak Park. 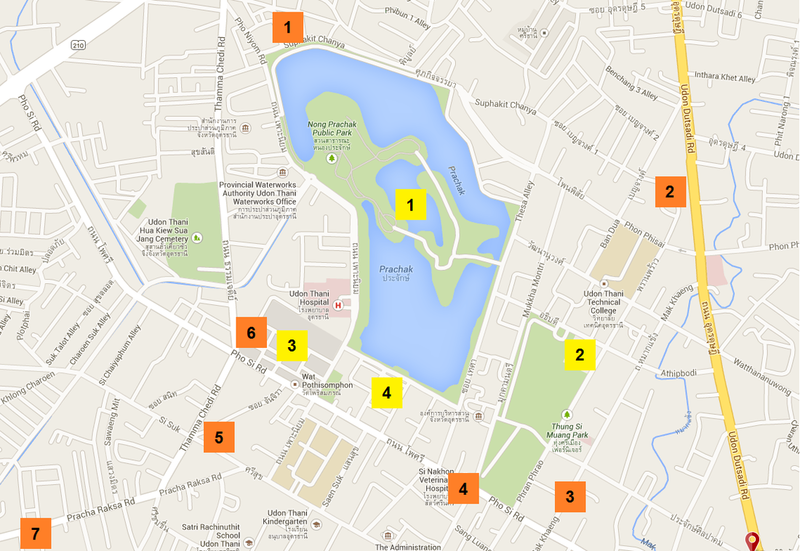 If coming from Day and Night, turn right, then right again at the bottom of the road, then walk past Central Plaza. You will then come to a 5 way junction, where you take the 2nd exit on to Adunyadet Road, where you will pass the Wolverine Go Go Bar. Keep going until you reach the Fountain Roundabout. At the roundabout, take the 4th exit on to the Pho Si Road. Stay on this road, and as you pass Nong Prajak Park, you will see the temple on the right.